The overnight train through the darkness takes you to Sapa – the colorful town in Northwest of Vietnam. The land of the spectacular landscape, unique culture of the minority group where have a lot of interesting waiting you to explore. 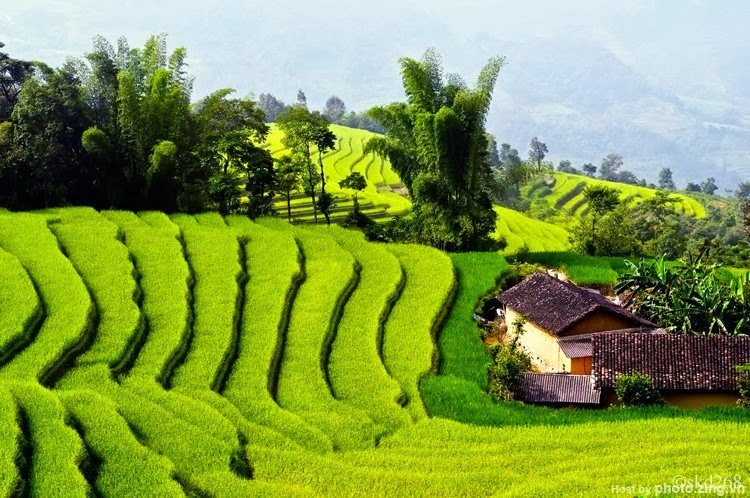 All the trails offer spectacular views of endless rice terraces and lush mountain peaks. The best hike in Sapa, Vietnam will reward trekkers with beautiful views of rice paddies and unique interactions with the hill tribes. Trekking is one of the most favorite and interesting activities in Sapa. There are some options for you, including easy trek, medium trek and hard trek. 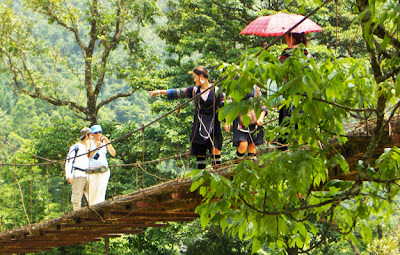 Easy trekking route will help you gain a basic understanding of Sapa and the life of local residents there. The view on your way is also really amazing. If you a really trekking lovers, the hardest trek in Sapa won’t let you down. It is the trek to the top of Fansipan – the Roof of Indochina, the dream of many young Vietnamese. You need to spend three days to complete the hike and should hire a local trustworthy who has the deep understand of the route. - Be realistic about your fitness level. You can buy fake climbing shoes at Sapa - probably it is far better to have brought your own from home. Good hiking socks are a plus too. Probably this means starting to think about Fansipan before you get on the plane to Vietnam. 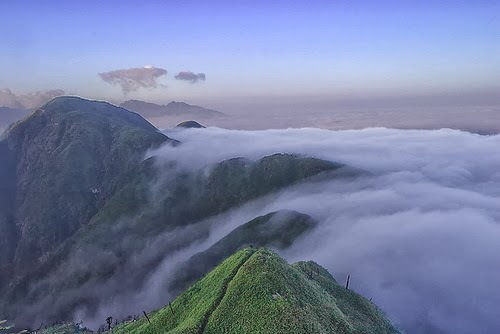 Bring some warm clothes, woolen hat, and gloves along because it’s cold at the top and at night. 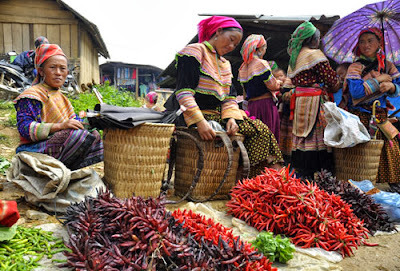 The local markets in the region are unlike anything you're likely to have seen elsewhere in Vietnam. These aren't town and city markets with meat and veggies for sale — these are genuine country markets, with livestock trading and, myriad handcraft. Minority groups come here to exchange and trade goods and products. Market sessions are also a chance for locals to promenade and young men and women in colorful costumes to meet, date or seek sweethearts. 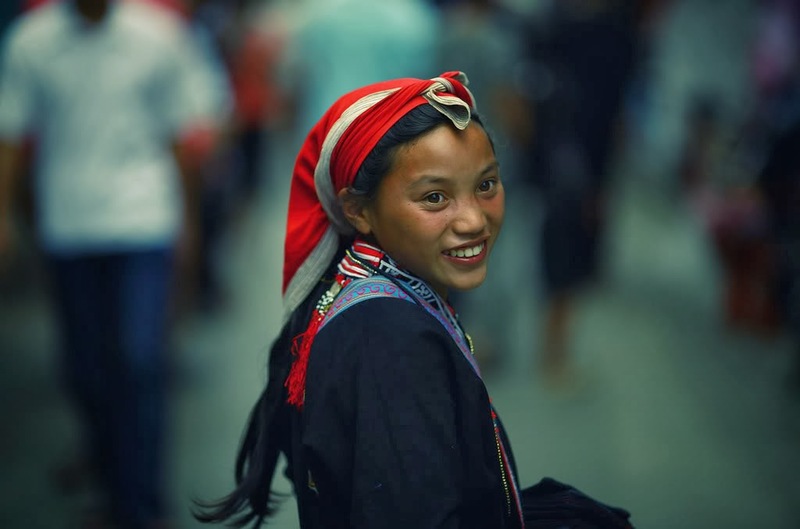 The typical market is vibrant and colorful with traditional costume of the black Hmong, Red Dao, Tay and other minorities. Sa Pa is not only well known for the charm of being a misty mountain town with terraced rice fields stretching continuously on the mountains, but also for its romantic waterfall. hese waterfalls have become attractive tourist sites in Sapa, including Thac Bac, Cat Cai, Lanh, Tinh Yeu and Nam Cang. 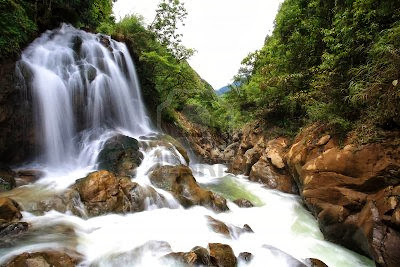 There are many other wonderful waterfalls at the foot of Phan Si Pan Mountain, the highest mountain in Vietnam, such as Ta Lam, Na Pao, Dau Nhuan and Tac Tinh. These waterfalls are special tourism products of the northern mountainous province of Lao Cai and must-see places for tourists. There is much to see and explore in and around the city of Sa Pa. One popular excursion with trekkers is the home-stay village of Ban Ho, where the local people are from the Tay ethnic group. The housing here is traditional stilt homes and it makes for an exciting and interesting opportunity to witness and join in, with this way of life. Close by to here are the hot springs, always here a good way to relax your aching muscles after the day’s exertions. They are not open in the rainy season.